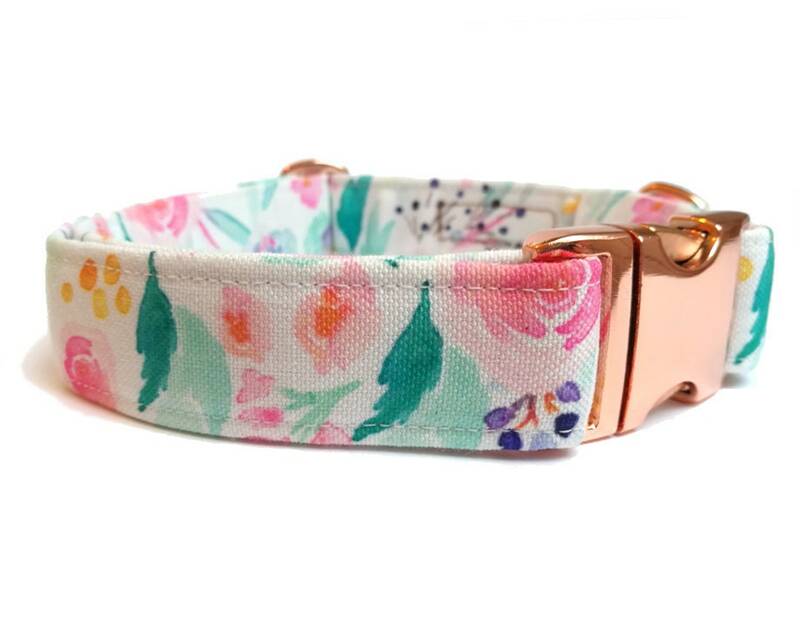 This gorgeous watercolor floral print is perfect for your girly pup, she will surely be center of attention and can show her sweet personality in this collar. The quality is absolutely exceptional. She looks darling in it!